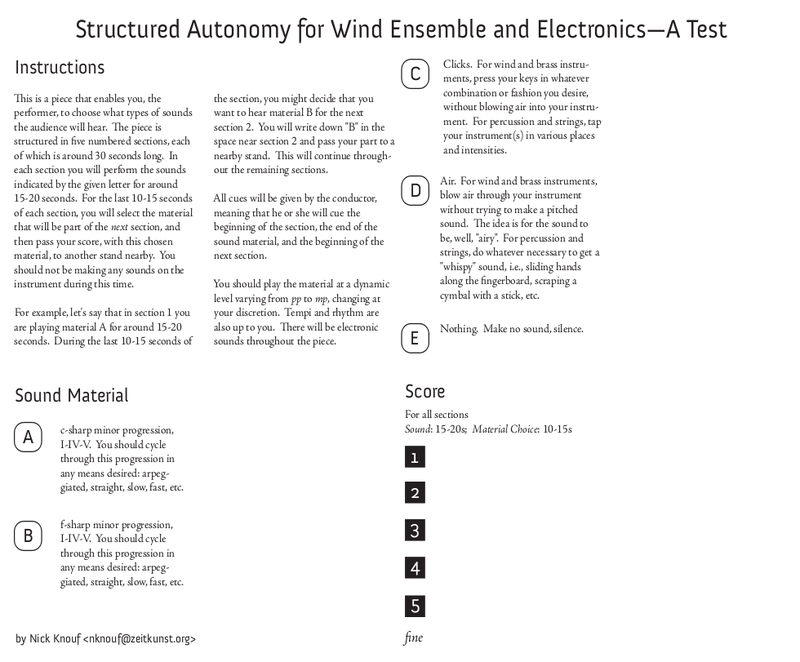 Score for a piece with any number of performers, instruments, and electronics. From the score itself: “This is a piece that enables you, the performer, to choose what types of sounds the audience will hear. 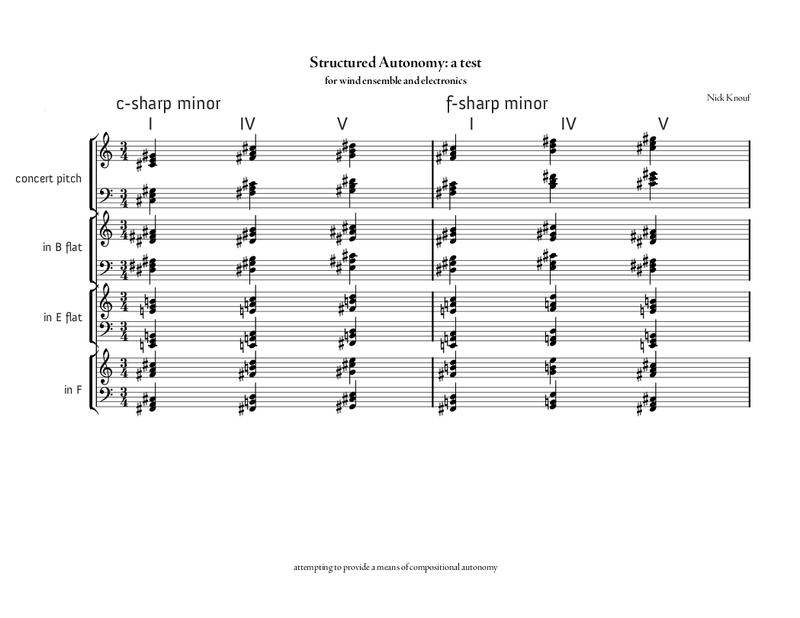 The piece is structured in five numbered sections, each of which is around 30 seconds long. In each section you will perform the sounds indicated by the given letter for around 15-20 seconds. For the last 10-15 seconds of each section, you will select the material that will be part of the next section, and then pass your score, with this chosen material, to another stand nearby. You should be making any sounds on the instrument during this time.” First performed in a rehearsal with the Cornell Wind Ensemble in 2008. During this performance I also added granular synthesis and other noise produced in pure data, which is an optional addition not mentioned explicitly in the score.